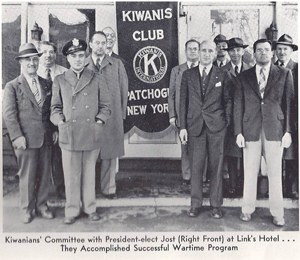 The Kiwanis Club of Patchogue was chartered May 5, 1938 and was sponsored by the Kiwanis Club of Freeport. In addition, we have a KPTC Fellow — Frank Virno, Jr., 2006, and five Anton Kaiser Fellows, Albert Norato, Jr., 2008, Robert Walch, 2010, Kenneth Picard 2011, Glen Charvat 2011, Walter Ladick, Jr. 2011, and Jeffery Vollmuth 2013. 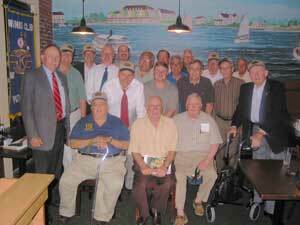 We also have two Brittany Fellows — Albert E Norato, Jr. & Edward Hughes 2007. We also have five Walter Zeller Fellowships — J. Glen Charvat 2012, Nicholas Harding 2012, Jr., Jeffery Vollmuth 2012, Robert Walch 2012, and Mark Charvat 2013. 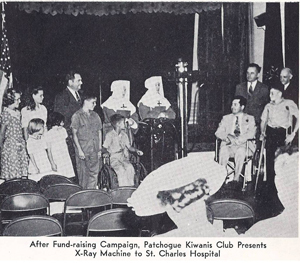 We chartered the Brookhaven Memorial Hospital Medical Center in 1954. 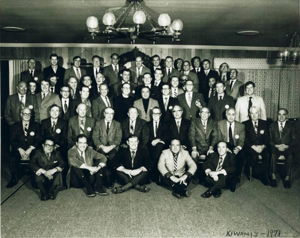 1971-72 — Frank Scavelli 1972-73 — Karl G. Erhardt, Jr.